Humberto Castro graduate from the San Alejandro School of Fine Arts (1977), and the Superior Institute of Art (1984), both in Havana. 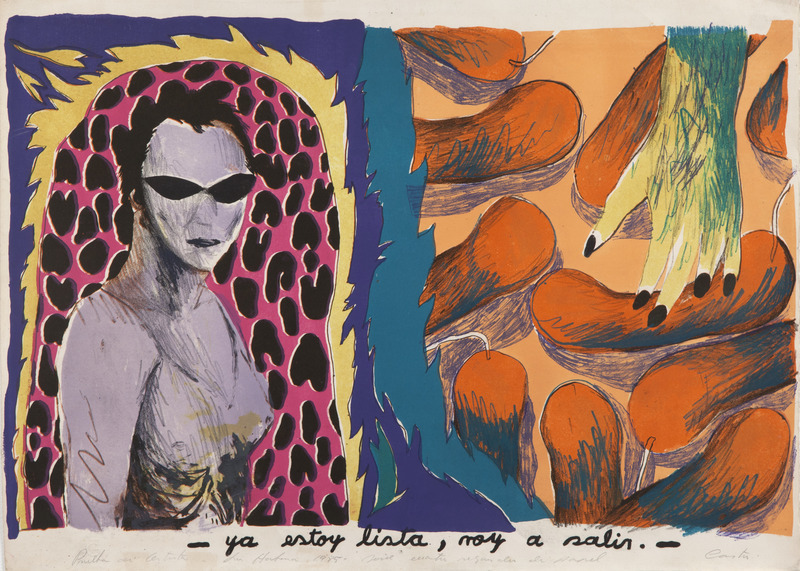 He is one of the most active members of the group widely recognized as the “Generation of the 80s” in Cuba, which generated aesthetic and conceptual changes to the art scene of the island. Castro was a member of the group Hexágono (1982-1985), with Consuelo Castañeda and Antonio Eligio Fernandez (Tonel), among others. Between 1980 and 1984 he produced an extensive body of engravings, using mostly the intaglio technique. 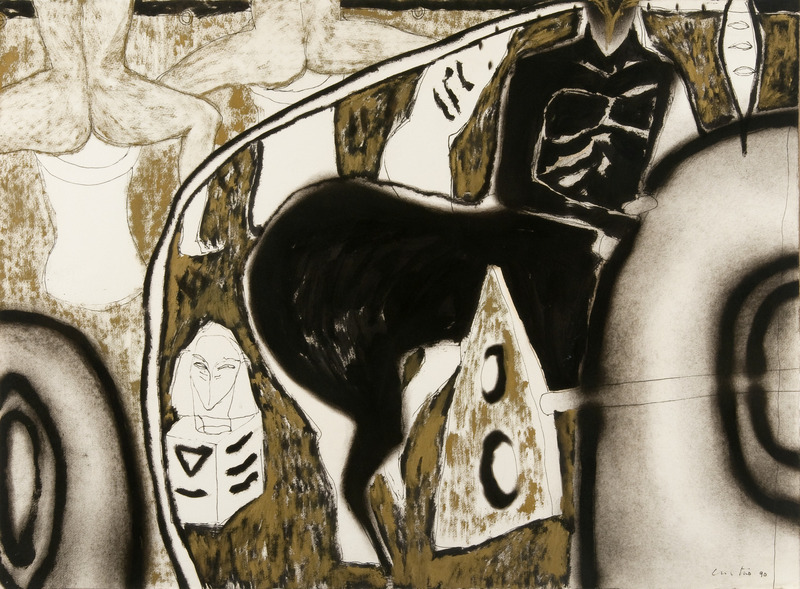 Since the beginning of his career, Castro has received numerous international awards for his work, including the First Prize at the Small Format Salon (Havana, 1981); First Prize at Engraving’83 (Havana, 1983); First International Prize at the Triennial Intergraphic (Berlin, Germany, 1984); First Prize at the Lublin Triennial (Lublin, Poland, 1984); First Prize at the 7th San Juan Print Biennial (San Juan, Puerto Rico, 1986); and the Prix of Painting “Toison d‟Or” at Art Jonction’94 (Cannes, France, 1994). His works are part of the collections of the National Museum of Fine Arts in Havana; the Museum of Latin American Art in Krakov, Poland; the Museum of Art Against the War in Lublin, Poland; the Museum of Modern Art of Sao Paulo, Brazil, the Foundation France Liberté, France; the Rhône Poulenc Collection, France; the Fort Lauderdale Art Museum in Fort Lauderdale, Florida; the Frost Museum in Miami, Florida; and the Museum of Latin American Art (MOLAA) in Long Beach, California, among others. - Ya estoy lista, voy a salir, de la serie Cuatro segundos de papel (- I'm Ready, I'm Going Out, from the series Four Seconds of Paper), 1985. Lithograph on cardboard. 21 1/8 x 31 1/8 in. - ...¿Nos vemos a las cinco?.., de la serie Cuatro segundos de papel (- ...See You at Five?...from the series Four Seconds of Paper), 1985. Lithograph on cardboard. 21 1/8 x 31 1/8 in. - ¡Dime!...esperaba tu llamada..., de la serie Cuatro segundos de papel (- Hello!...I Was Waiting for your Call..., from the series Four Seconds of Paper), 1985. - ...te espero...chao..., de la serie Cuatro segundos de papel (- ...I'm Waiting for You...Bye..., from the series Four Seconds of Paper), 1985. Lithograph on cardboard. 21 1/8 x 31 1/8 in. Vudú (Voodoo), 1990. Acrylic and ink on paper. 22 x 29 in. La llave (The Key), 1990. Acrylic and ink on paper. 22 x 29 in.